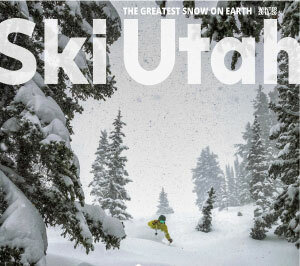 Ski Utah Gold passes are valid 50 times at each participating resort, except Park City Mountain where it is valid 100 times, during summer operations. Ski Utah Silver passes are valid 30 times at each participating resort, except Park City Mountain where it is valid 60 times, during summer operations. Present your Gold or Silver pass at the ticket window and you will be issued a day lift pass. Present your Gold or Silver pass to the Mountain Biking Office at either Snow Park or Silver Lake and you will be issued a day lift pass. Blackout dates: July 4, 24 and September 3, 2018. Present your Gold or Silver pass at the ticket office at the Resort Plaza on the Park City Mountain side or at the Resort Activities Office at Canyons Village, for a scenic ride lift ticket. Not valid for mountain biking or any other summer activities. Please visit www.parkcitymountain.com for details. Proceed directly to the gondola with your Gold or Silver pass. The lift operator will scan it there. Present your Gold or Silver pass at the ticket office and receive access to the Aerial Tram. Not valid for other summer rides including the zip-line, alpine slide, etc. Present your Gold or Silver pass at the Adventure Center in Solitude Village and you will be issued a summer lift ride or mountain bike pass. Solitude will not be using the access gate during the summer. Check in at Ray's Base ticket office shop with your Gold or Silver pass and you will be issued either a scenic lift ride pass or mountain biking lift pass. Other activities not included ie: zip-line & horseback riding.